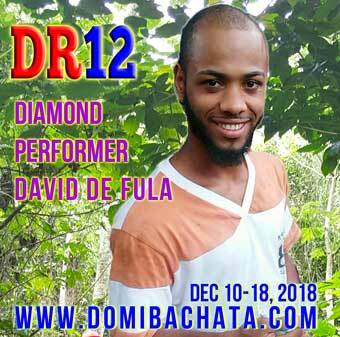 Bachata Ambassador proudly presents RIO FULA, the world's most peculiar entertainment center in Bonao, DomRep. No tourists, just hundreds of Dominicans having the river and dance fun. It's something you cannot even imagine to exist. This is the bachata paradise at its best. In the top of the page video you'll see how the Dominicans enjoy the river. They carry the tables and chairs into the river. It's dancing, relaxing and eating in/on/at the river... cooool... fun... exotic!! Amazing experience!! Rio Fula fills on Sundays. It's good because you'll see amazing ambient. The previous festival participants, especially DR5, DR6, DR8 and DR11 praised the experience. The excursion is not a touristic trip and you won't find any tourists in this area. 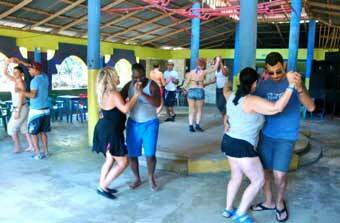 You can regard river excursion as a full day exotic dance trip with Dominicans and crazy dancers all over the world. 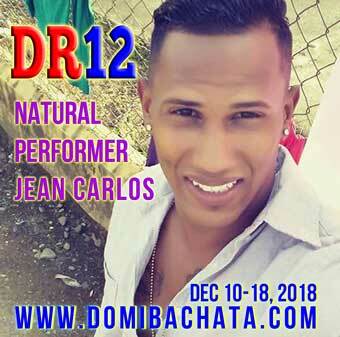 DR12 is the only festival offering fully authentic dance experiences that the other promoters don't even know to exist. 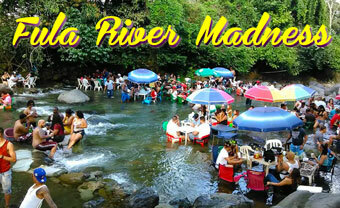 The jungle river excursion includes jungle walk (optional), lunch in the river, exploring the river by dancing and big dancy party in the Discoteca Manantial by the river. We will see Yeri's bachata and drag show, David's Dembow presentation and the animations of Maria and Fula ladies. We recommend rubber shoes because the river bottom has sharp rocks. Fula River has several jungle discotecas. The discoteca called Manantial will be for us because it has the best lunch, ambient and bachata parties. We'll dance, eat, swim, dance, drink, swim, dance until we drop down to sleep in the return bus. Yeri's fun factory will do Bachata and Dembow animations and presentations. 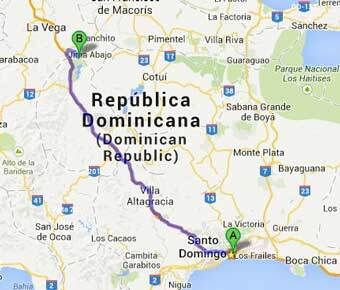 Fula River Excursion is part of the DR9 Ruta Bachera and part of the DR10 Santo Domingo 4 days. It costs US$72 if bought separately. The price includes bus transport, parties, animations, shows and lunch, but not the jungle club drinks. 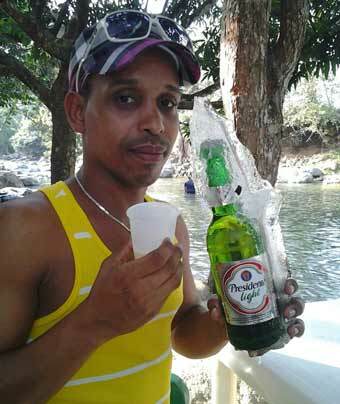 Dominicans love the river parties. DR is full of rivers and especially the rivers on the mountains are clean because of the strong current and scarce population. 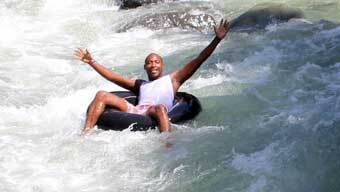 Some of the rivers are big enough for the Rafting and some of them can be floated by the truck inner tubes. We might even go deep into the mountain jungle. DR5 instructor Yocasti dancing with DR4 participant James in Rio Fula. The great dance masters Yeri La Ley and Ambiori. Now that Yeri La Ley is visiting United States our hosts are the diamond dancer David and megafamous Jean Carlos. Jean, the famous bachata dancer. We send all the best wishes to our best friend Yeri La Ley, a great person surrounded by powerful talented dancers. 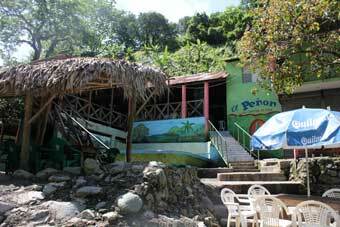 Yeri's Fun Factory includes a restaurant, discoteca, nature guides, Bachata dancers and Dembow dancers. Yeri is a natural dancer with a unique style. Independent if you like his style or not, he is a huge treasure chest for Authentic Dominican style bachata professionals. Imagine! In the video below Yocasti dances her first time ever with Yeri la Ley. Without rehearsals they got quickly over a million Youtube visitors - with slippers. Titans (Yeri and Yocasti) meet again in Rio Fula. Here you can see the inspirative high-voltage Dembow&Reggaeton show presented by David&friends of the Yeri Fun Factory. Look at the intensity, dripping sweat and horny ambient. This is the boiling pot of bachata, dembow and other Dominican dances. You'll see these guys at least here in the Mountain River Excursion, but maybe also in Santo Domingo part of the festival.